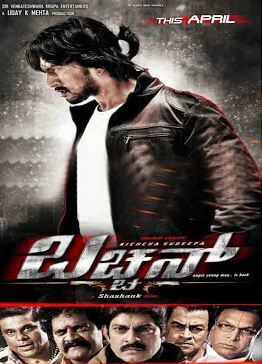 Bachchan was recommended to me by numerous people when I went to watch Ugramm a few weeks ago, and since I read that the film had won a number of awards in India plus it starred the usually pretty awesome Sudeep Kiccha I thought it would be worth tracking down on DVD. But when I started to watch it I was very disappointed. After about 20 minutes I just couldn’t watch any more relentless and seemingly pointless violence or blatant sexism and had to give up. It took another two attempts before I managed to get more than 30 minutes into the film, and I spent most of that time wondering why this film had been recommended to me! But then I got further in, finally reached the excellent second half, and realised exactly why this film had appealed to so many people – even me eventually. It does get immeasurably better in the second half, and looking back the opening scenes make more sense in retrospect, although I still feel a less chauvinistic approach would have made them easier viewing. 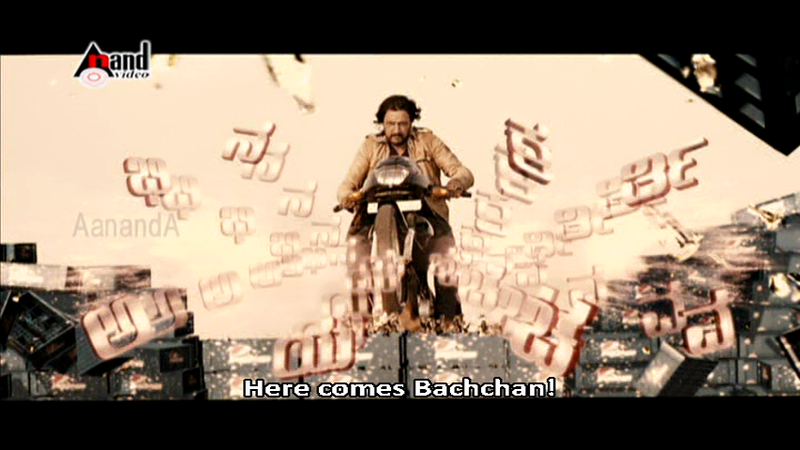 However, if you can make it past the first thirty minutes, there really is a lot to like about Bachchan. The film opens with a slugfest between Bharat (Sudeep Kiccha) and various members of the police force in a small police station. 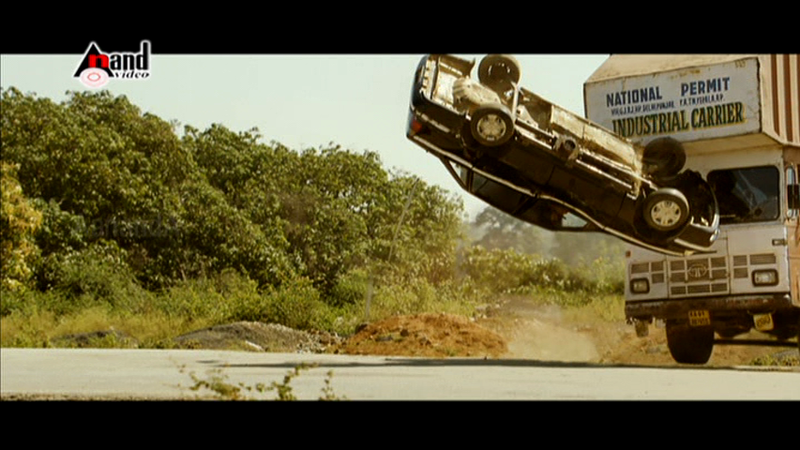 No-one is able to stop him as he smashes his way through the police station and ultimately kills Inspector Mahesh Deshpande (Ashish Vidyarthi) before escaping on a police bike. 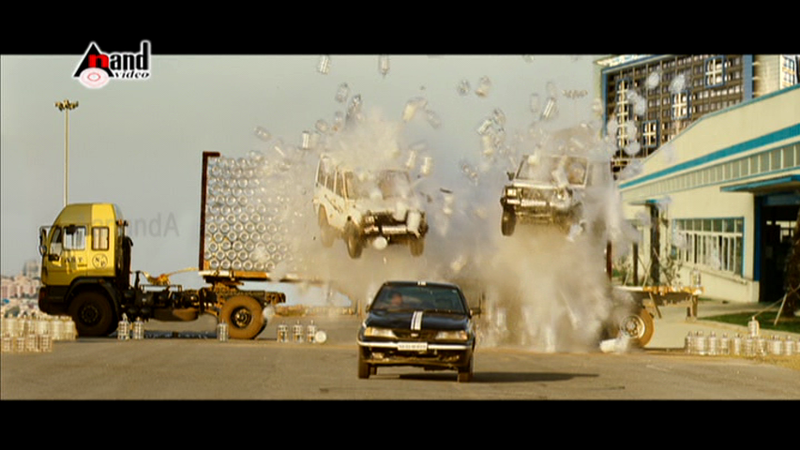 Bharat then easily outwits the chasing police cars and heads to a hospital where he proceeds to defenestrate one of the doctors, Dr. Srinivasa Iyengar (Nasser) and escapes yet again. This time though, we know he is going to get caught just as soon as a lorry full of water bottles appears in the middle of the shot. 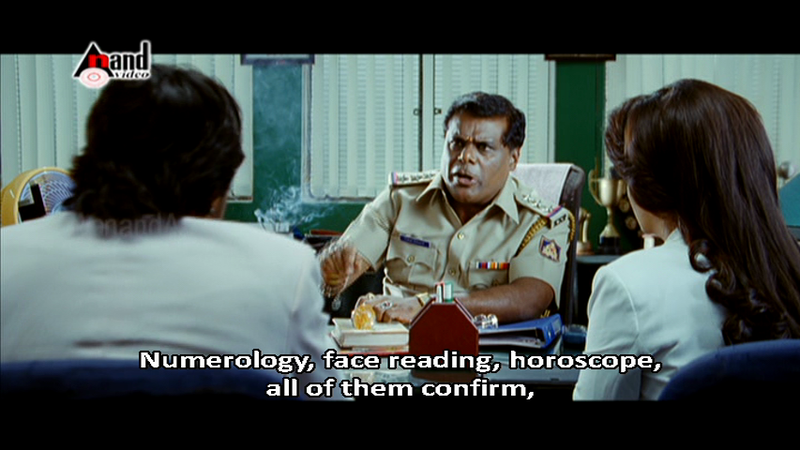 So once in custody for committing two murders (no mention of the destruction to property and general menace to society he represents) Bharat proceeds to tell his story to the investigating officer Vijay Kumar (Jagapathi Babu). Seen in flashback, previously Bharat was a nice, happy (although rather patronising) real estate agent who was trying to be a force for good in the world, when he found himself hounded by a superstitious police officer and an obsessive doctor. Inspector Deshpande fuelled jealousy in Bharat’s fiancée Anjali (Parul Yadav) by pointing out Bharat’s interest in a client’s daughter at every opportunity. To be fair, Monica (Tulip Joshi) does seem to turn up everywhere and does show an unhealthy interest in a man whose attentions are otherwise engaged, but Bharat claims that this harassment was his motivation behind killing Despande. Meanwhile Dr Iyengar sealed his fate when he refused medical assistance to Anjali and Bharat decided that he too had to die. The problem I have with these opening scenes isn’t that the story is trite and clichéd, but that it’s all so completely overdone. Both Despande and Iyengar are terrible caricatures while Anjali appears as a woman with absolutely no self-worth. Bharat bribes her with chocolate when she accuses him of being rude to her at work (which he was), and when she accuses him of spending time with Monica, he has only to click his fingers and she immediately forgives him all. There is a reason behind all of this but since it’s not explained until much later in the film, it does make for uncomfortable viewing first time round. The first half isn’t all bad though. There is a novel threat to a collection of flower pots, which is a welcome touch of humour and Sudeep is eminently watchable even when he’s being a complete pillock. P. Ravi Shankar is also mildly amusing as the thug attempting to muscle in on Bharat’s business, and there is also plenty of excellent dorky uncle dancing in this song. The film starts to improve when it’s gradually revealed that the story Bharat has told the police is a complete fabrication – hence the terrible characterisations in the first half. The real Anjali proves to be a perfectly sensible and normal woman, while the other characters are nicely ambiguous until the real truth emerges. There are plenty of twists and turns before we get there though and the second half turns out to be the out and out action thriller I was expecting from the start. 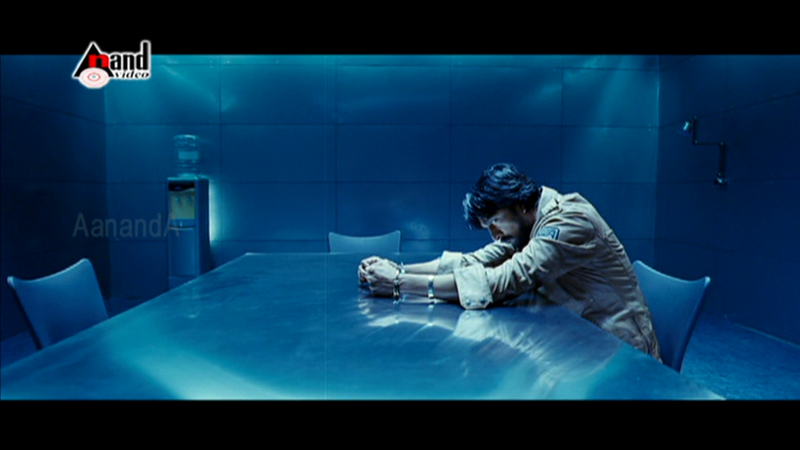 Throughout it all, Sudeep outclasses everyone else with chameleon-like changes of his character, and his performance is just enough to make up for the dodgy dialogue in the first half. He does bring to life the film’s ‘Bachchan’ in Big B angry young man persona, although there is more to his character than just a generalised grudge against the world. 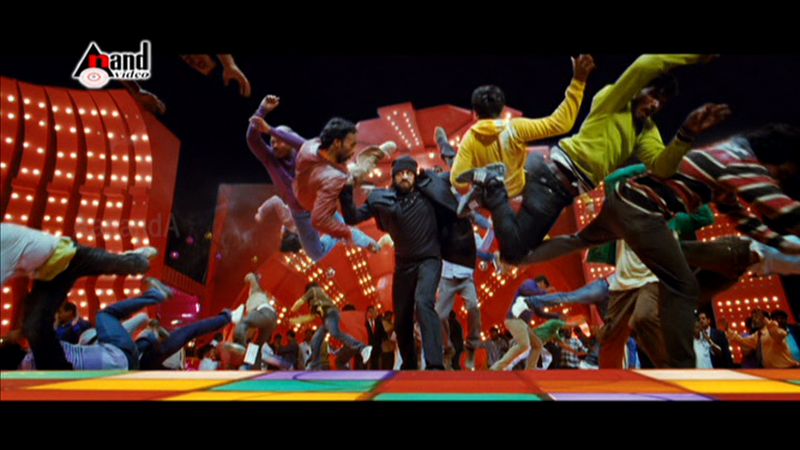 I’m presuming that director Shashank wanted to make a kind of homage to Amitabh Bachchan as there are many mentions of Big B and his films throughout, but he’s probably most referenced in this song with the bewilderingly badly dressed Tulip Joshi. Poor Tulip – she really doesn’t come out of any of this well at all. Bhavana makes a brief appearance as Anjali’s sister Ashwini, but probably the best performance from the three romance interests is from Parul Yadav. Her character is more developed and despite the terrible beginning she does make a better showing in the second half. Most of the rest of the support cast are fine but they are mainly there either to provide fodder for Bharat’s rage or to add layers of confusion to the plot, and are never any more than two-dimensional at best. However the fight scenes are well choreographed even if they lean heavily towards standard Southern Indian tropes and the climax is satisfyingly OTT. 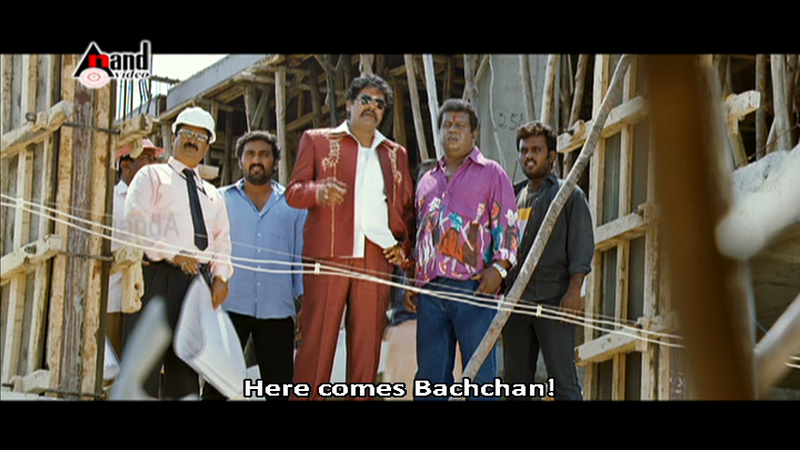 The concept of Bachchan is good, but it is let down by the script in the first half (or perhaps just very bad subtitles) and a tendency to rely on standard filmi clichés. Although the second half of the film is entertaining and very watchable, sitting through the first half to get there requires patience and perseverance. Still, if you can make it through the first half hour, the rest up to the interval is ridiculous enough to be amusing and it is worth hanging in there to reach the excellent second half if you can. I’d give the first half of Bachchan 2 stars and the second half 4 stars which gives an average of 3 – that seems about right overall. Worth watching for Sudeep but I’d recommend leaving your brain behind for the first hour. This entry was posted in Sandalwood and tagged Ashish Vidyarthi, Bachchan, Bhavana, Jagapathi Babu, Kannada, Nasser, P. Ravi Shankar, Parul Yadav, Shashank, Sudeep, Sudeep Kiccha, Tulip Joshi. Bookmark the permalink.